Courtesy of Luna Realty, Richard Luna. 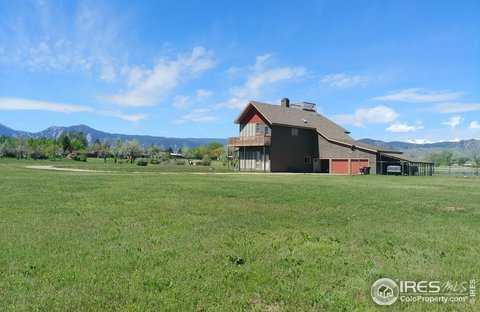 12+ acres next to a private lake & with unobstructed mountain views! Only minutes to Pearl St. Mall, Google campus & city conveniences! Build your dream home or use your creativity to redo the existing one. 1/4 mile long drive ensures privacy and there’s RTD stops & bike route on Jay Rd. with connections to Cottonwood & LOBO trails. The N property line is the city limits of Boulder – possibility of eventual annexation and development with corresponding increase in value! A UNIQUE OPPORTUNITY! Driving directions: DRIVEWAY IS EASY TO MISS! 3rd drive E of 57th/Juhls on N side of Jay Rd. Look for white sign w/green 5775. Suggest going W from 63rd or Spine to avoid making a left turn in front of traffic. The house is in the middle of the field north of Jay Rd. Please, send me more information on this property: MLS# 819223 – $2,250,000 – 5775 Jay Rd, Boulder, CO 80301. I would like to schedule a showing appointment for this property: MLS# 819223 – $2,250,000 – 5775 Jay Rd, Boulder, CO 80301.